As education is the engine of any economic, social, political and ecological development, the investment in schools make the engine work well. The construction of School by the humanitarian aid from PBF is of paramount importance for the socioeconomic development in the places where the school is constructed in particular and the country at large. 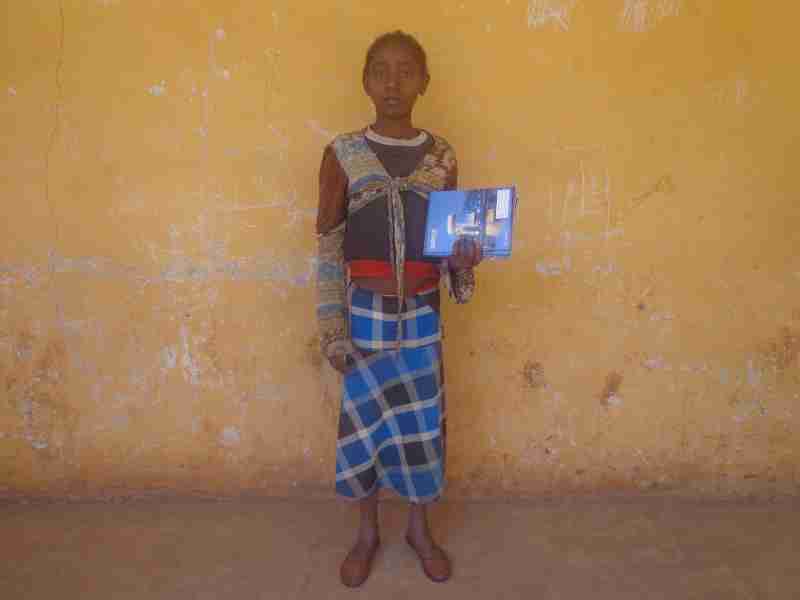 A number of people benefit from the school construction and student support projects in Ethiopia and elsewhere. The construction of Doano School, in the Southern Ethiopia benefits local people and government besides directly benefiting students at school age at now and future generations. Many people benefit from the school construction and expansion no matter where and, many people benefit directly and indirectly thanks to the humanitarian aid by PBF. People varying from daily laborer to school administrators has been beneficiaries from the school construction in Doano. Most schools are are often constructed in places with access to road, electricity and water at the basic level. Doano, a place where PBF funded the construction of school does not have access to road, electricity and water and hence does not have school and other social services such as health care centers. Thus, the construction of School in Doano is by far essential for the Doano community. Doano School is constructed in a very mountainous area where there is no school at all within at least 5 km radius. The closest elementary and primary school is located about 5 km from Doano School, which is constructed by PBF in collaboration with local people. Doano School was initially constructed by the grassroots participation of farmers living in Doano Village, which is located about 7 kilometres away from Durame town. Later, local government started to support the cost of professionals, yet the school remained in a very poor shape due to limited financial capacity from the local people and government. The humanitarian fund from PBF changed the game and laid a foundation for the survival of the school. People who live around the school are poor farmers whose life is hand to mouth. Almost all of them live under the poverty line where their daily bread is in serious question in seasons where there is no rain or when there is lots of rain that ruins seasonal supply of crops and vegetables. Thus, the farmers are unable to make the school function well and to have additional classes for increasing number of students. It is the kindly support and donation of the PBF that made the impossible possible and altering the history for poor farmers with no alternative. The donation of PBF for the school construction has been a marvellous news for the farmers and people who are hungry and thirsty of education. Thus, the farmers has been fully committed to the project, which the PBF fund. In addition to the extraordinary support from PBF, it the grassroots participation of farmers which made the construction of the school less costly. Most of the students who follow their studies in Doano School are sons and daughters of farmers who did not follow even primary education in their life. Thus, most of the farmers regret for not having the chance to have at least a primary education and they are very committed to the school construction project. I can also speak from my own experience where my parents do not even know alphabets of their mother tongue mainly because of unavailability of school nearby and lack of support for their educations when they were at school age. My uncle for instance used to walk about 24 KM every day to and from school at his time. That is why a number of farmers volunteered to support the construction of Doano School with transporting timber, gravel and sand on their shoulders. An approximate of 100, 000 ETB was saved during the initial construction of the school because of voluntary activity of farmers and there is still huge potential in the farmers’ collaboration and commitment to expand schools in Doano. That is why the construction of Doano School has not been costly. Therefore, the cost of future construction and expansion of further classes is expected to be less costly. PBF funded 154, 000 ETB for the construction of Doano School. There is huge demand for the expansion of the school in village. Poor uneducated farmers desperately need further school and expected to participate in any construction and expansion of schools which drive the coming generation out of illiteracy. I have observed farmers repeatedly saying, “Illiteracy is a journey in the dark”. I am entrusted to present a heartfelt appreciation of poor and uneducated farmers to PBF that is committed to drive them out of the dark. THE LIFE SPAN OR DURATION OF THE PROJECT? Even though Doano School was constructed in 7 months by the humanitarian aid by PBF, the school is expected to serve the community for at least for quarter a century as the school was constructed to satisfy the current need with the least cost possible. Provided that the school was constructed in a better quality than it was, it would serve for about half a century or more. The growing population and unavailability of both the private and government around the school which PBF funded, there is huge demand for the school consumption, construction and expansion. Thus, the school project is expected to be sustainable. There is clearly huge financial demand to balance the need for the education and availability of resources to make the goal “education for all” real. Doano School used to be only till grade 4 and the humanitarian fund by PBF made Doano School to retain students who would be forced to go further away for grade 5. Students and their parents are so grateful for the students remain in the School and environment that they are used to. Even though there is no capacity to retain students for grade 6 for there is no addition class, students and farmers hope that there is still hope to open grade 6 for the year to come. By the time I pay a visit to Doano Village, I had question from school management, students farmers if know that there is any hope to have one more class for the next year. Abel also reports to me that the farmers and students desperately need additional classes and asking him if he would tell them news from PBF. While I was talking to students and local people about their level of satisfaction in the construction and expansion of Doano School, almost all expressed how great it is to have school around their place of residences. Here are few of the benefits, which the people I conversed mentioned in my visit and conversation with students and farmers. The humanitarian aid and fund for School construction and student support project in and around Durame benefits students, Teachers, Farmers and Local People. Over 200 Students follow their studies in the school constructed by PBF and over 200 students received stationery and uniform support by PBF. 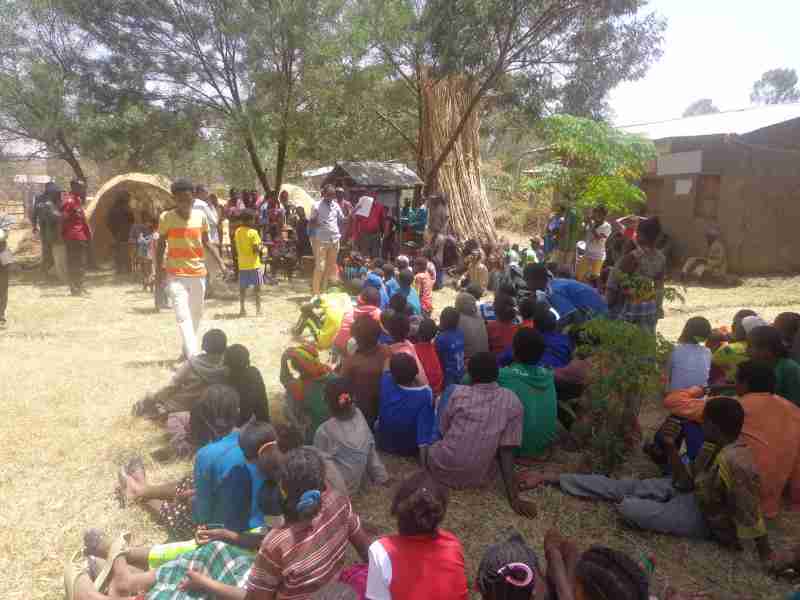 Total of 1500 people benefit from the school construction and student support project in and around Durame. During the construction of Doano School, about 50 people were employed temporarily and about 15 people are employed permanently in the school constructed by the donations of PBF and its collaborators. The advantage of the school construction is multifarious and provide benefit for students, teachers, farmers and local community and government. Indeed, the construction of the school helps to achieve the millennium development goals at the local level. Students benefit from the availability of schools nearby for a number of reasons: save time and energy, safe from dangers on their way to and schools far away, students support their parents and farmers also save their resources. The students save their time, which they may spend walking to schools away from their residences. Students do not get tired of walking to long distances to the next closest school. I can witness from my own experience. When I was at the age of six, I had to walk up to 12 KM a day to the closest school from my home. I did not have any other alternative to go other than walking to this school. There is no paved way for transportation. Unfortunately, I did not even have a pair shoes to wear. Thus, I had to walk to school every day with bare feet, which is exposed to thorns and rocks. It is painful experiences indeed. I still have scares on my feet. Now, students from Doano village are less exposed to thorns and rocks that damage their feet as they walk maximum of 3 km both to and from school. If the school was constructed somehow 20 years ago, I would not have walked a km a day and would not have my feet deformed. Students, particularly, students from poor parents are less exposed to dangers on their way to schools nearby such as the Doano school, which PBF fund. Students who go to schools away from their homes usually walk long distances crossing rivers and going up and down hills. Students are sometimes exposed to seasonal floods while walking to and from schools and are usually exposed to sun strikes and heavy rains. The consequences of these weather and topographic factors are huge among kids who go to schools away from their home for primary and kindergarten schools. School kids usual harm their feet due to strike from rocks and thorns while walking to school on their bare feet. In addition to supporting their parents with farm activities in the village, students also spend their time in their studies: do homework, assignments and prepare for the next class. Students also use the sunlight to work on their studies during day time as they save time which they would spend walking to and from Schools away from their homes. Almost all students who attend the school, which PBF constructed do not have enough light to study during nights as there is no enough light during nights. I can speak from my own experience, where I study on fire wood at times when my parents would not afford buying kerosene. Fire wood is usually accompanied by smoke and studying at nights with light from firewood tough to do so. 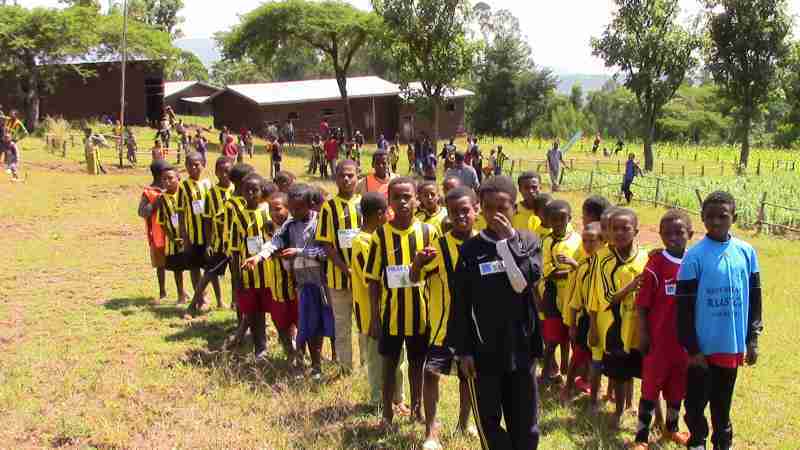 The place where PBF constructed school is one of the most densely populated places in the Ethiopia. Therefore, there are a number of people who need employment opportunities in addition to a number of students who benefit from the school construction and student support which PBF does. Unlike very dense population settled in and around the place where PBF fund school construction, there is no access to or very limited access to road, health care, electricity and pure water. Thus, employment opportunity means a lot to farmers and people in the place where PBF sponsored the construction of school. Here, I would also like to mention the employment opportunities which PBF projects created during construction of spring water and sanitation projects. Employment, both temporary and permanent, is a game changer for farmers with very fragmented land that would not even feel their stomach. The construction of Doano School opened employment opportunity for a number of people who desperately need employment. A number of people were hired to transport, wood, rock, gravel and sand as there is no access to road transportation with vehicles at least half a way to and from the places with the desired material for the construction. Thus, the transportation of materials mentioned above and materials such as cement, nails and iron sheets along with other materials have at least half way been transported with manual labor which helped the local people to earn living from their labor. The school construction also provided access to books for the students and local people nearby. The construction of the school also provided access to play ground for kids. Parents of students and local people around the place where the school was constructed also developed their leadership skills. In addition, having school nearby saves students from suffering from hunger. Most farmers do not afford packing lunch for students and thus parents let their students go to school after feeding them breakfast. Most parents, particularly poor farmers do not afford providing balanced diet to their students. Thus, having school nearby help students to have their breakfast with less rush and have their lunch on time as they save their time, which they would spend walking to and from school. 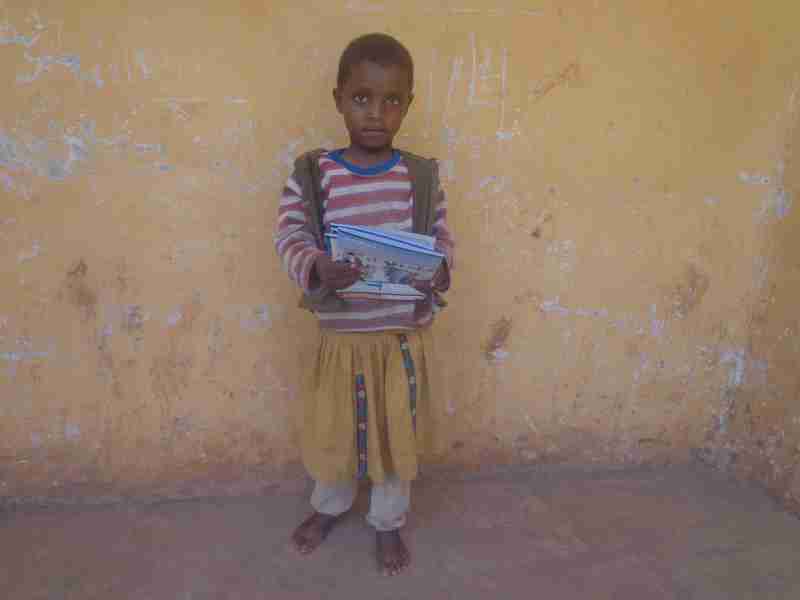 The humanitarian support which PBF provides to the Doano community goes as far as providing material support for students as well as to the school. Due to the kindly support by the PBF over 200 students has been provided exercise books, pens and pencil. It is evident that poor parents would not be able to buy exercise books to their students. Even those few people who afford buying exercise books would not buy exercise books that last long. I can speak from my own experience how difficult it was to buy exercise books that last even for a semester. Stationery was provided to students who do not afford stationery. Since students has to travel dozens of kilometers a day, parents want their kids to be strong enough to walk all the way to and from schools. Thus kids do not go to school at the school age. The construction of this school made these students to go to school earlier than usual. Even though this needs research, I can speak from my own experience and observations that the construction of Doano School Project in collaboration with PBF, local people and government enhances child education and supports achieving the millennium development goals. My conversation with students in Doano school also express that they are happy to have school nearby and witnessed that having school in their vicinity made them continue attending the school which they dropped years back. For Example, Tesfaye gave attending school in grade 2 for his parents did not afford buying exercises books Students usually dropout of school as it is usually difficult to walk to school which far to walk to. A number of research supports this fact and my observation is also a witness for this fact. Kids usually drop out of school during harsh weathers. For example, February is usually difficult to go through.